We are known for our Holographic Solutions for the Pharma Industry, also for our numerous solutions and other holographic products. Our wide gamut of such products are widely appreciated for their excellent quality. These Holo Pharma Products are fabricated by our experienced professionals ensuring complete safety against counterfeit activities. 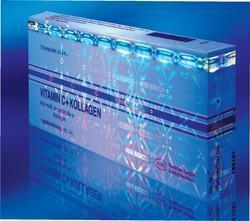 Hira Holovision is specialized in the field of Holographic Solutions for the Pharma Industry. We are have a variety of solutions for the Pharma Sector and we offer a wide range of Holographic Products for the Pharma Industry. 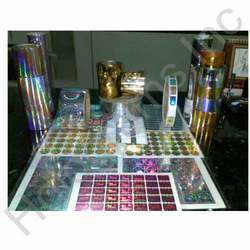 From Holographic Labels to holographic paper labels, strips and Sleeves to holographic scratch labels to transparent holographic labels to Transparent Holography, we have it all.We can even offer customized Holographic solutions depending on the client's requirement. 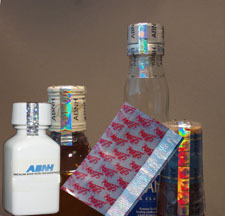 Holographic New Holo - Shrink are a key part of Hira Holovision product portfolio. HHV has added a vital security element to shrink sleeves by incorporating a Holostripe in the sleeve thereby making it an important product for anti-counterfeiting. A wide variety of colours are available such as Silver, Gold & many more. The Holostripe can be tamper proof in nature or be stamped on the shrink sleeve. The key ingredient to excellence in hologram manufacture is the Hologram Master. If your masters are good, your Holograms ought to be good. We provide a wide range of excellent quality masters to many hologram companies around the globe. Our company is specialized in 2D Hologram Masters, 3D Hologram Masters, Dot Matrix Hologram Masters and Actual E-Beam Hologram Masters. In addition, we can also supply Masters with the most complex security features in the industry. The Masters play a very key role in manufacturing of an hologram and we ensure best quality of the Masters, which in turn ensures that your production facility is manufacturing some of the best holograms ever. 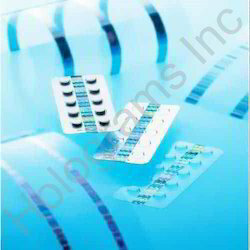 Some of the most industry critical applications are in the pharma industry. We are specialized in the field of Holographic Solutions for the Pharma Industry and offer variety of solutions and holographic products to the Pharmaceutical Industry. From holographic labels to holographic paper labels, strips & sleeves, holographic scratch labels, transparent holographic labels, transparent holography, our extensive range covers it all. These are high in quality and extremely reliable. Our technical expertise and modern infrastructure enables us to offer our range in customized finishes and technical specifications as desired by our clients. We have gained international acclaim, and the market leader position, mainly due to our creativity and innovativeness. Our sustained Research and Development by a qualified team of professionals supported by well-equipped facilities, helps us in keeping abreast of the latest technology and pioneer new products and applications. 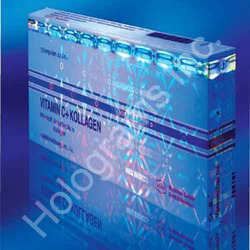 Looking for Holographic Pharma Products ?